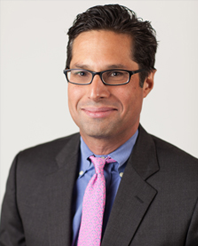 Christopher Karachale is an attorney and partner at Hanson Bridgett LLP in San Francisco, California where he advises individuals and business entities on a broad range of tax planning and tax controversy matters. Christopher publishes and speaks widely on a variety of international tax topics including voluntary disclosures and multinational M&A issues. He is certified as a legal specialist in taxation law and has been named a Northern California Super Lawyers Rising Star for the last five years. Christopher received his undergraduate degree from Middlebury College, an M.A. from Stanford University, his J.D. from the University of San Francisco, and an LL.M. in tax from New York University.